Attorney General Donovan announced today that he joined a coalition of 20 attorneys general in filing an amicus brief asking the U.S. Court of Appeals for the Sixth Circuit to affirm a lower court’s finding about a Kentucky abortion law. The lower court found that the regulating abortion services is unconstitutional under the 14th Amendment of the U.S. Constitution. The brief argues that the availability of abortion services in neighboring states does not excuse a state from the Constitution’s prohibition on unduly burdening a woman’s ability to access abortion services in her home state. Additionally, the brief urges the Court to ensure that regulations imposed on abortion services actually promote women’s health without erecting substantial obstacles to the availability of these services. 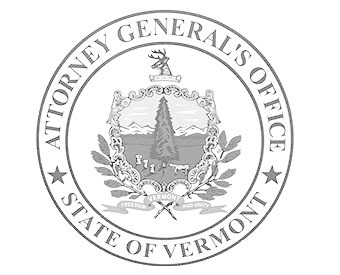 In Vermont, Attorney General Donovan has actively supported the passage of an amendment to the Vermont constitution that guarantees a woman’s right to an abortion and has worked to protect women’s access to preventative and reproductive healthcare services. The implications of this case for the women of Kentucky are particularly severe, as the law at issue would effectively eliminate the only abortion provider in the state. In their brief, the attorneys general further argue that allowing a state—like Kentucky—to rely on neighboring states for abortion services harms neighboring states. Allowing Kentucky’s analysis could have unintended consequences on neighboring states whose demand for abortion services could increase. The District Court for the Western District of Kentucky ultimately agreed with EMW and Planned Parenthood, finding that the Kentucky law regarding transport and transfer agreement requirements imposed an undue burden on Kentucky women seeking to exercise their constitutional right to access abortion services. In response, the Cabinet appealed this decision last month in the federal courts, challenging the District Court’s findings. Today’s brief was filed in support of Planned Parenthood and EMW’s legal challenge. Joining Attorney General Donovan in filing today’s brief are the attorneys general of California, Connecticut, Delaware, the District of Columbia, Hawaii, Illinois, Iowa, Maine, Maryland, Massachusetts, Michigan, Minnesota, Nevada, New Mexico, New York, North Carolina, Oregon, Pennsylvania, Virginia and Washington.